“Sometimes all we want to do is wake up and think the events of the night before were all a bad dream. A nightmare. We lay there and think everything will be fine. Then we open our eyes and look around us. And we know everything isn’t fine. And never will be again. It is my hope that this story can be used as a lesson to other mothers and daughters traveling through this journey of dementia and ultimately the grief that comes after losing the most special person in our life. Others have already traveled this road, and each of you has your own story, sometimes poignant, sometimes humorous. You are not alone in your journey. Growing old is not for the faint of heart. In her debut book, Deborah chronicles the story of her fiercely independent mother’s journey through her twilight years, and her own journey of survival through her faith, after her mother’s death. With a bit of humor thrown in here and there! Because no matter what life hands us, we must find the beauty and joy in between the chapters of pain and sorrow. It’s not easy. But almost all daughters go through it. It is her hope this story will help others survive that journey as well. 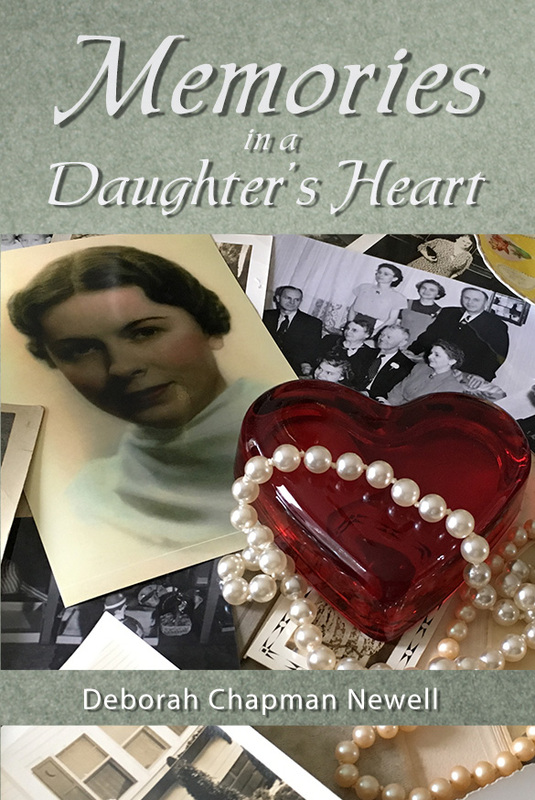 “Memories in a Daughter’s Heart” is now available for purchase through my publisher, Easter Press, as well as on Amazon in both paperback and ebook formats.